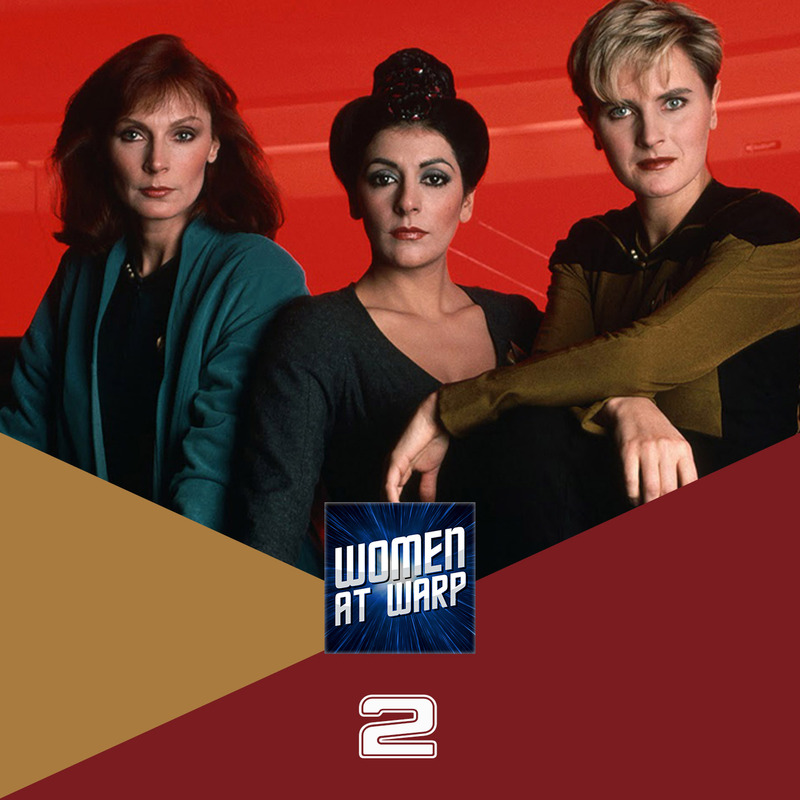 This episode, Andi, Jarrah and Sue tackle the overall representations of women in Star Trek: The Next Generation. Denise Crosby describes an unaired scene in which Troi counsels Yar. Oh my gosh! Don’t get me started on the whole “counselor” thing on Star Trek. I love Trek, and I love science, and I’ve no doubt that my love of science translated from watching Star Trek as a child and a teen. When I became a psychology major, I joined the research track which was to work in tandem with therapy track students and professionals. Psychology may be a “soft” science, but the best of it is always rigorous science: statistics, research design, neuroscience, application. None of which is so new that the writers wouldn’t have known about it with even a modicum of fact-finding. My impression of their understanding of the field, based on how Troi and Ezri were written, is “Therapists talk a lot about feelings and mothers.” All that’s missing from any other stereotype is a German accent. I feel most strongly about Ezri’s writing, largely because I’m rewatching DS9 for the umpteenth time since my degree (it’s my favorite of the four series), and I feel like her situation was a major missed opportunity to show how self-administered CBT or DBT might work. Much of TV and movie media rely on dialog and character interaction to convey information to the audience. Few shows and movies can show a character alone and make it interesting. But Ezri’s being bombarded with new memories and feelings intermixing and integrating with her own. She doesn’t have the standard Trill training to receive a symbiont, but she does have her own psychological training. This is an untapped resource we don’t see her use. Instead, she prances about the station asking to be other people’s soundboard and pulling reverse (pop) psychology tactics on holograms. Dax deserved better. EZRI deserved better. The entire spectrum of psychology and neuroscience deserved better. Thanks for the comment. I think it’s safe to say we’ll be talking about this again, especially in regards to Ezri. We also might do one on all the episodes that show why you need a counsellor in space – there are so many Voyager and Enterprise episodes I can think of where Troi or Ezri would’ve been super helpful! Also, we do get the German-accented stereotype in “Phantasms” with Data’s Freud hologram, but at least we also get to see Troi make fun of it. Thanks again for listening and commenting! I love these episodes keep it up! Also, my wife was not happy when I pointed out the inverse Bechdel test… You said it would be hard to find any media that would not pass the reverse with men. That was my comment after seeing Wicked. That is the only thing I’ve noticed which doesn’t pass the inverse test. Just pointing it out and not commenting at all about the quality thereof and still doesn’t discount the fact that that is just ONE performance in a sea of media. Don’t misunderstand: I like “Yesterday’s Enterprise” a lot! But, as one of you pointed out, she’s a victim there, too, albeit a willing one. Both her deaths could raise questions about strong women characters (well, Tasha a potentially strong character, anyway) being made the sacrifice… At any rate, I think her death was one of the few times she met the clear expectations set for her character: fiercely devoted to Starfleet and her crewmates, willing to lay down her life for the service and for them, if necessary. Just my two quatloos! Really enjoyed your discussion.